Contrails look very interesting up close. 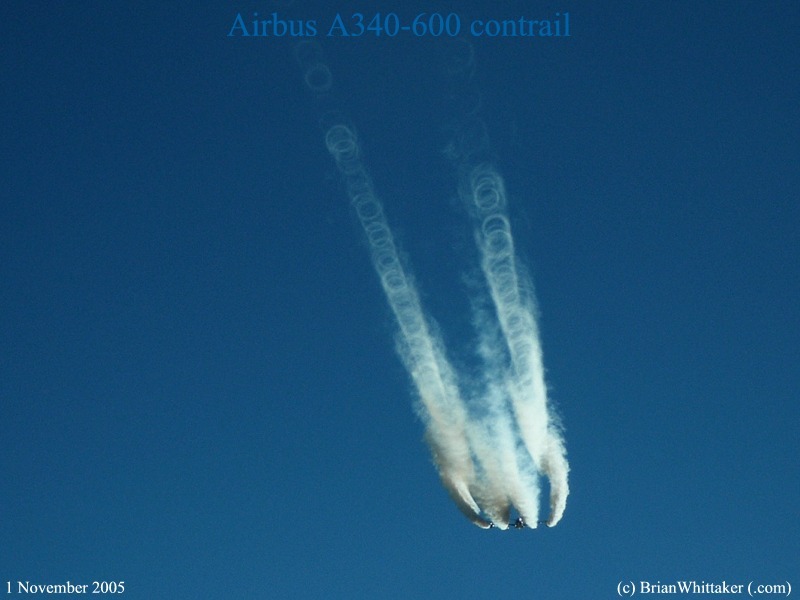 This one is produced from an Airbus A-340-600. [A340-600]. The circular vortices, like horizontal tornadoes, move quickly and are easy to see in real time. November 1, 2005. [Image 800x600] .